Obsessive Compulsive Cosmetics Nail Laquer in Pool Boy Review, Photos, Swatches. 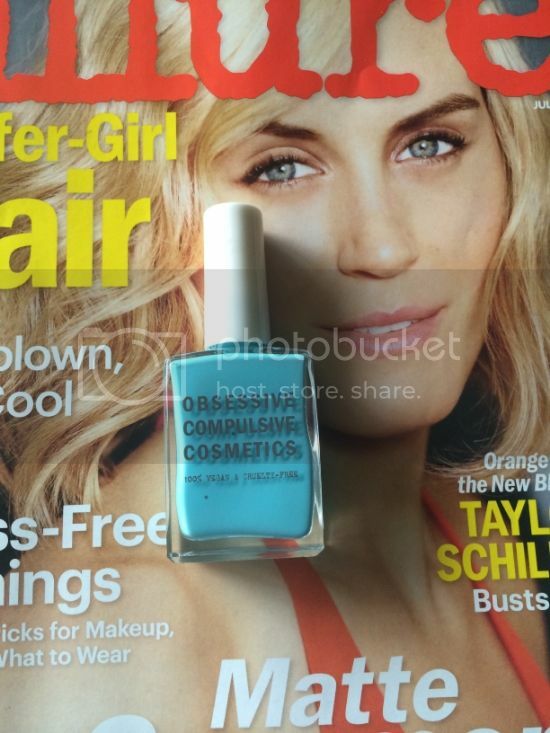 Obsessive Compulsive Cosmetics Nail Laquer In Pool Boy Retails for $10.00 and is available at Sephora. 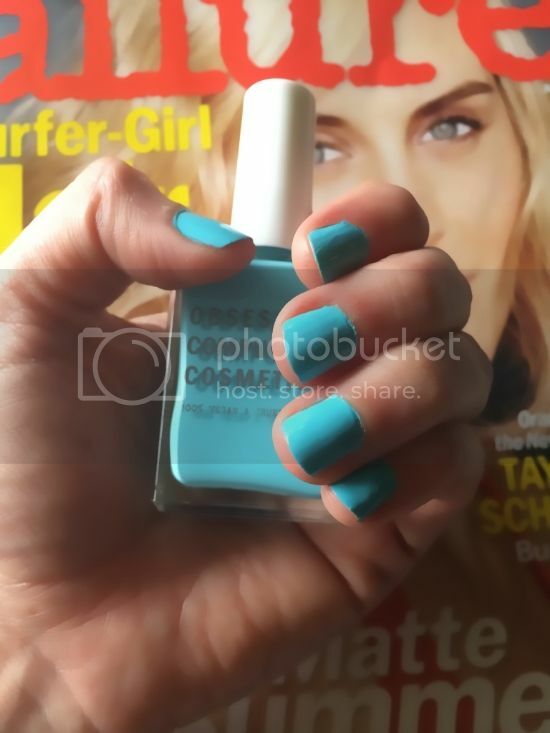 Today I wanted to show you this new nail polish from OCC that I recently picked up at Sephora called Pool Boy. I’m not much of a nail polish girl to be honest (well I mean I like it….I just don’t go crazy for it like I do lipgloss etc), but when I saw this shade I knew it had to be mine. Pool Boy is a nail polish that has been getting lots of love around the blogosphere lately and I can totally see why. I mean it’s just the most gorgeous opaque, aquatic blue shade ever and not only that but it applies like a dream. Oh and I pretty much get compliments on my polish everywhere I go these days so that’s always a nice feeling right? The perfect Summer nail polish shade for sure. 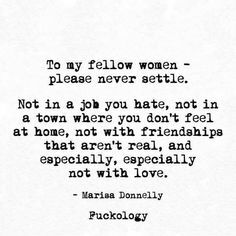 I highly recommend everyone get themselves a pool boy (polish or otherwise haha) this summer. 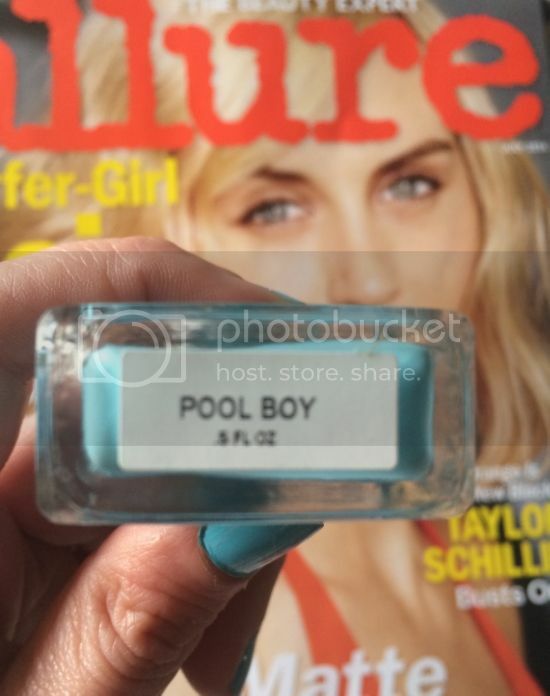 I already have the pool boy polish so now I just need a real pool boy…. Oh wait I do he’s an imaginary one and he looks a lot like a young Johnny Depp in case you’re wondering :). 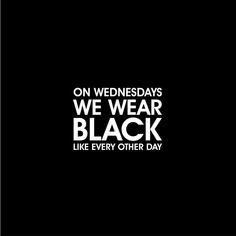 What’s your favorite nail polish shade at the moment?